Studying abroad can be one of the best decisions you make in your life. The experience and knowledge gained by getting placed in another culture is unrivaled. 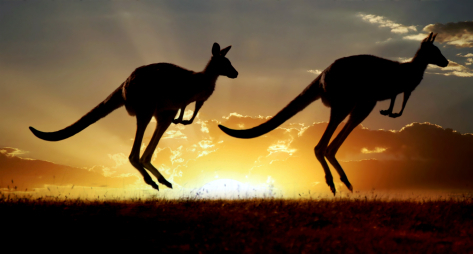 If you are thinking about studying abroad but don’t know where, we have a suggestion: Australia! The “Land Down Under” is filled with a rich and diverse history, different people groups, and many beautiful sites. From lounging on the miles of coastline to exploring the outback, there is something appealing to everyone- and the schooling isn’t bad either! Here are a few scholarships that you can apply for before heading off to the beautiful country of Australia. Since 1990, GlobaLinks Learning Abroad has been providing students with the opportunity to study in Australia. They have grown to offer a variety of programs Australia, New Zealand, Fiji, as well as places in Europe and Asia. They encourage students from all backgrounds to participate in these trips; however, they understand that not everyone can afford it. This is why they offer a few scholarships to provide financial aid to those who need it. GlobaLinks Learning Abroad Affiliate University Scholarship- students who are enrolled at affiliate universities may be eligible to receive an extra $500 in scholarships. University of California System Student Scholarship- if you attend one of the universities in the University of California system, you are eligible for this award. The UC System scholarship provides around $1,000 in financial aid. The Association of Certified Fraud Examiners commits themselves to supporting students who are majoring in accounting, business, finance, and criminal justice and are planning on a career in fraud examination. The Ritchie-Jennings Memorial Scholarship Program provides four different scholarship opportunities. The first one is a $10,000 scholarship; the next tier provides two $5,000 scholarships; the next scholarship offers four $2,500 awards; and the final scholarship awards 23 $1,000 scholarships. These scholarships can be used at any accredited university in the world- including those in Australia. The Australian Government even encourages and provides programs for international study. The Endeavour Awards are an internationally competitive, merit-based scholarship program. This program allows students from the Asia Pacific, the middle East, Europe and the Americas to undergo study, research and professional development in Australia. The Endeavour Awards aims to do a few things: develop on-going connections between individuals, organizations and countries; provide opportunities for high achieving individuals from Australia and overseas to enhance their skills and international awareness; bolster Australia’s position as a high quality education and training provider; and to increase the productivity of Australians through an international study experience. The University of South Australia offers both domestic and international students scholarship for post-graduate research. This allows you to focus entirely on your research without having to worry about getting paid for work. The International Postgraduate Research Scholarships provides a $29,800 stipend for a three-year research program. The American Physiological Society promotes education, scientific research, and distribution of information in the physiological sciences. Their primary focus is on graduate and postdoctoral scholars. APS offers scholarships to students and scholars in this field. The International Early Career Physiologist Travel Awards are given to graduate students, postdoctoral fellows and junior faculty members who work somewhere outside the U.S. This award provides $500 to help with travel expenses. To be eligible, you must be studying for your doctoral degree or must have received a doctoral degree within the last 15 years. Ten of these travel awards are handed out annually. If you attend the State University of New York (SUNY) in Plattsburgh, you should check out the Bond University Semester Program. Through this unique program, students travel to Bond University in Australia and study for a semester. Just about every course from business to psychology to Japanese are offered at Bond University, so you don’t have to worry about not being able to make it. All you have to do is have a GPA over 2.5 and be at least a sophomore in standing by the time you leave to maintain eligibility. If you think you won’t be able to afford this program, think again! SUNY offers a number of scholarships for international study. The Bond University Scholarship is specifically for students attending Bond University for a semester. Two of these $5,000 scholarships are available each semester. This would be the perfect way to fund the best semester of your life! The University of New South Wales (UNSW) wants their students to be the best in the world. So, they recruit the best in the world. With their International High Achiever Scholarship, they provide up to $26,400 (depending on how many applicants they accept) for one year of study at UNSW. The Research School of Earth Sciences at the Australian National University (ANU) provides the A.E. Ringwood Scholarship to graduate or master’s level students. To be eligible, you must have graduated with first class honours while earning your undergraduate degree. Students are provided funding for up to three years of full-time study at ANU. This is a $30,800 top-up award.